The socio-economic development of communities is increasingly being recognised as a critical factor in the overall strategy of a mining company. 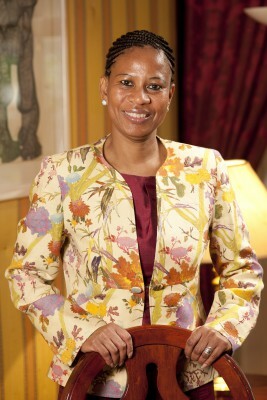 Anglo American’s executive director Khanyisile Kweyama elaborates on how the company has tackled this issue by devising and implementing the unique SEAT process. A mining company’s prosperity is inextricably linked to its ability to create a positive impact beyond the mine’s fence line. It is, therefore, essential that building of relationships and support of local communities are factored into a company’s philosophy and business strategy. However, an organisation can only create real socio-economic changes in the communities surrounding its operations, if it undertakes a structured and defined approach to tackling this issue, which results in better accountability for all its stakeholders. Anglo American has recognised this fact, and has developed a Socio-Economic Assessment Toolbox (SEAT) process, which has become a benchmark for improving socio-economic performance in the mining sector. Since launching SEAT in 2003, Anglo American has witnessed positive results in terms of its ability to create a real and meaningful impact on the communities surrounding its operations. Devising this tool has allowed the company to better identify and manage both the positive and negative socio-economic impact of its activities on local stakeholders. Through implementing this process, it has not only been able to identify specific issues and impacts on community or even wider societal transformation, but has also enhanced its capacity to better address them through the development of effective management and monitoring programmes. Owing to these successes, SEAT reports form the core component of the Social Management Plans of Anglo operations, as they ensure the issues and impacts raised by stakeholders during the implementation process are set out, as well as the management plans developed to address them. An essential aspect of this process has been engagement with local stakeholders such as communities, interest groups, NGOs and local government. This is central to the SEAT process, and ultimately influences the design of Anglo's community development plans. In order to maintain the relevance of these reports, the company updates them every three years, and Anglo is currently in the third phase of its SEAT programme. In this way, the company is able to reflect any changes in the operation and community, and this subsequently allows time for the management measures set out in the previous SEAT report to be implemented and evaluated. The positive results of the SEAT process have been evident in the investment Anglo American has ploughed back into communities. In 2011, its corporate social investment (CSI) spend in local communities in South Africa totalled R509.1 million ($70.1 million), while local procurement spend in 2011 with suppliers in communities surrounding the Kumba Iron Ore, Thermal Coal and Platinum operations totalled R4.4 billion ($616.1million). Because SEAT has been so successful, and because of significant interest from other companies, Anglo American has made version three of SEAT publicly available on its website www.angloamerican.com/seat. 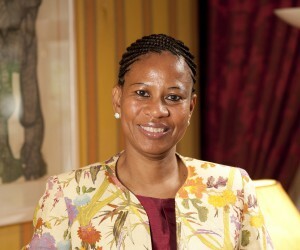 Anglo's support for communities has extended to wider health concerns, as was demonstrated in November 2010, when Chief Executive Cynthia Carroll pledged R21.78 million ($3 million) on behalf of Anglo American to The Global Fund to Fight AIDS, Tuberculosis and Malaria. This is an organisation that the company has consistently supported since 2002. In conclusion, the effective implementation of the SEAT process has enabled Anglo American to have better rigour, accountability and measurability to the way in which it engages communities neighbouring its operations.